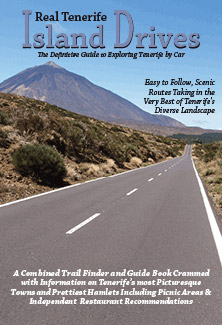 HomeLocationsWest TenerifeIs the Masca Barranco Still Open to Walkers? Some of you may have heard news that Masca beach has been closed due to the danger of falling rocks and might be wondering whether the popular walking route through the ravine is a) still open to walkers and b) is it safe? The facts are that in safety terms nothing has changed. Experienced walkers are completely aware that enjoying nature up close can come with potential risks. 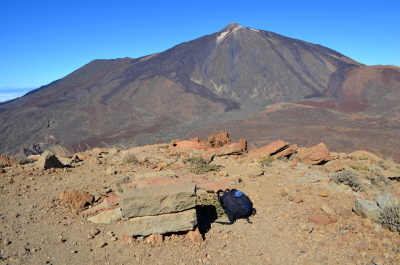 Walking and hiking on Tenerife is no different than walking anywhere else. 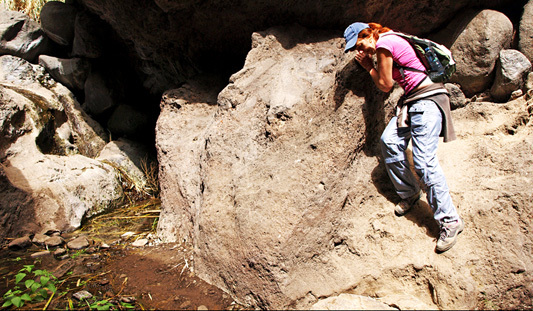 There is always danger from falling rocks on paths below cliffs, just as there can be risks from eroding paths. Common sense and awareness when walking should always be applied. The Masca Barranco is as safe, or not as it always has been. Similarly with the beach. The events in Los Gigantes last year has left officialdom nervy, so the beach has been closed to the public. But tragic accidents are no newcomer. 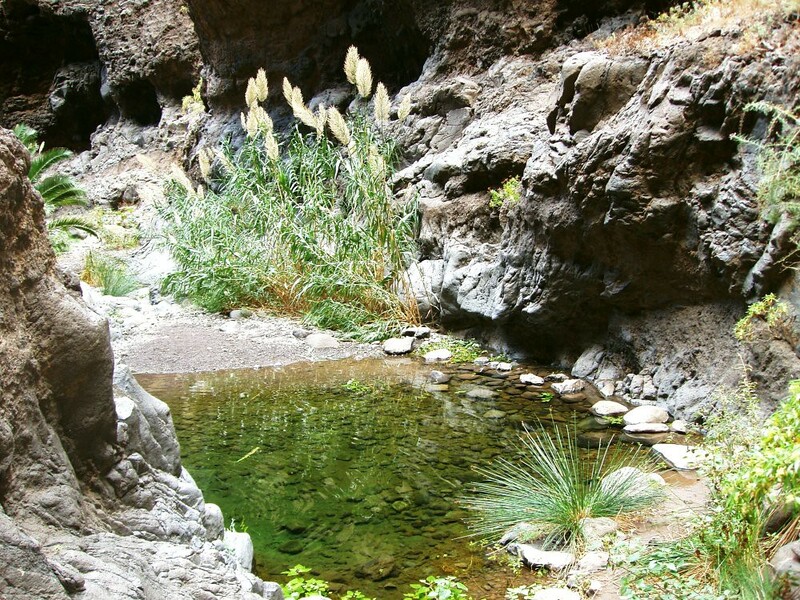 In the same year as the Los Gigantes tragedy, an illegal camper was killed by falling rocks on Masca Beach and an off duty Guardia Civil officer died when buried by rocks at the base of Montaña Roja in El Médano. Neither attracted the same press coverage outside of the island because they weren’t tourists. So Masca Beach has been completely closed to the public…in theory. 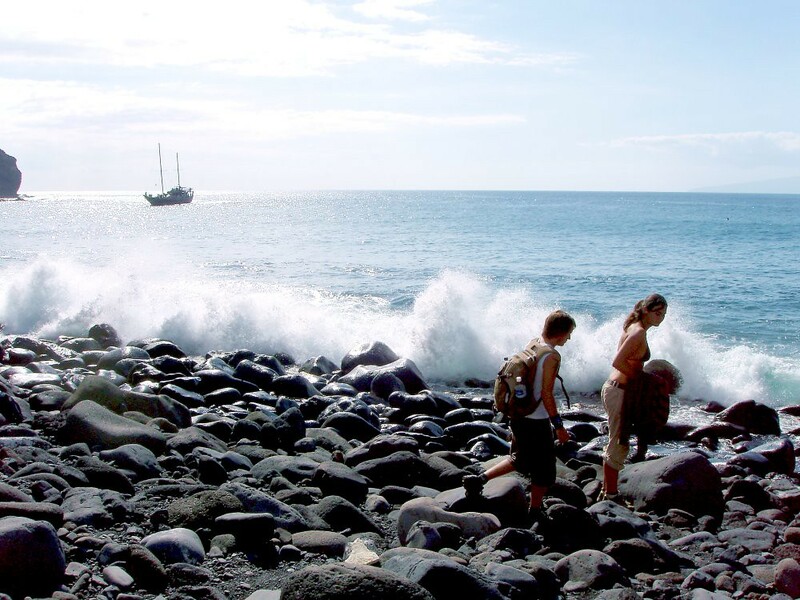 In reality, closing beaches is almost impossible, especially when they are located somewhere like Masca’s. Can you see police or Guardia Civil regularly patrolling it? They haven’t even managed to put up any signs at the beach yet. To be fair, the mayor of Buenavista del Norte has more or less admitted this and he’s also demonstrated he’s got a firm grasp on reality by issuing a statement which clearly states that whilst the beach is shut to the public, the pier on the beach isn’t and neither is the Masca Barranco itself. YAY. 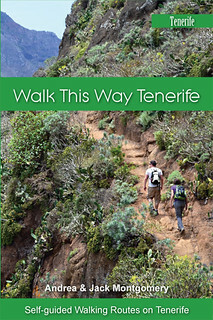 So walkers can trek through the barranco as always and, this is the really good news if you’ve ever walked the Masca Barranco both ways, will continue to be picked up by pleasure boats at the beach, making the return journey a far more relaxing experience. 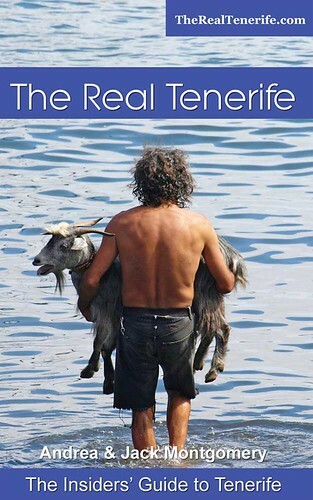 It’s great news for anybody who loves walking on Tenerife.